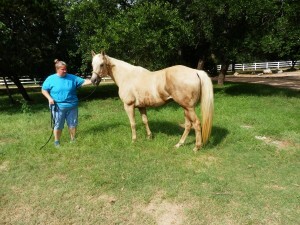 (sale pending) Well friends if you want a pretty one, look at Boo. 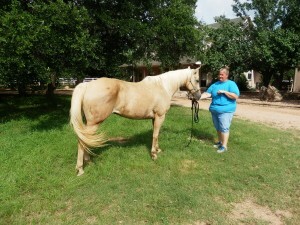 He is a 13 year old Palomino that stands 14 3 hands. He will finish his evaluation this week as we ran out of light but so far is a gem. We are showing little Miss Kate on him. Kate is 7 years old.